Many people spend their entire lives doing their jobs without ever trying to educate themselves about the laws whose purpose is to protect them at their workplaces. In fact, if all the workers were properly informed of the privileges they enjoy under the United States laws, it would make them much more confident and productive, which is something both employees and employers could benefit from. In this article, we will try to attract your attention to certain workplace rights you might not have known about, either because your employer didn’t know about them or didn’t want you to know about them. One of the most important things in every job is, of course, the paycheck. Employers tend to manipulate the facts when it comes to paying employees for the work they have done, but the bottom line is: your paycheck cannot be withheld for anything. Destroying company’s property, squandering the company’s profit or the poorest general performance in the world – none of these is a reason enough for you not to get paid for the time you spent working. Yes, you can still get fired, but you are nevertheless entitled to the money you earned before that. What’s more, not only that employers must give you your paycheck, but they also must do it in a certain amount of time, or they will have to pay additional penalties to you. As for working overtime, whether your job pays overtime or not does not depend on your employer, but on the government decision. If your job is on the government’s list of exempt jobs, you don’t get to be paid overtime. However, if it is non-exempt, your employer is obliged to pay you for all hours above 40 that you spend working during one week. Working off the clock is forbidden and you should be aware of that. The institution of a whistleblower is gaining prominence in the 21st century. Consequently, there are laws protecting whistleblowers from retaliation. If you noticed a problem in your company, gave the employer a chance to fix it and then, after they had failed to do it, went to the governmental agency and reported them, you are protected by law (for example, in the state of New Jersey, New Jersey employment law, or more specifically New Jersey Conscientious Employee Protection Act protects employees from all retaliatory actions). 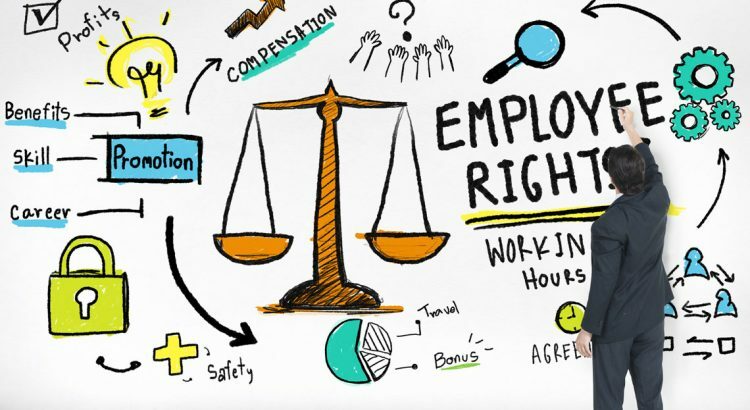 In any case, it is important to be aware of your rights and hire a employment lawyer as soon as you encounter a problem, in order to receive professional advice on your rights and responsibilities.